A pair of Georgian/Victorian style door knobs with black wooden "reeded" design, brass collars and brass rose plates. High quality, hand turned, wooden door knobs made to an original design. These Georgian reeded door knobs have been faithfully reproduced from an original door knob we were fortunate to salvage. Therefore they are a design exclusive to us, despite there being many copies on the market. This style of door knob was popular from the Georgian period (c. 1714 - 1837) through to the Victorian period (c. 1837 - 1901) and has remained popular up to today. 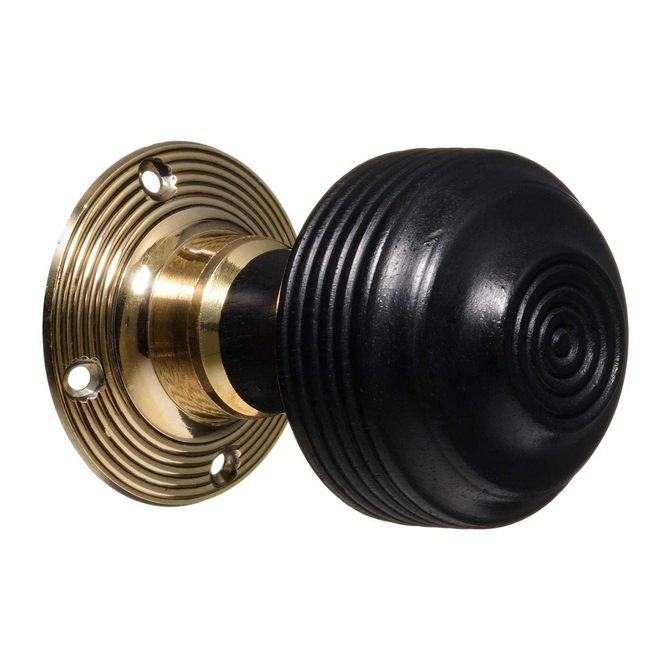 The brass rose plates are separate which allow these door knobs to be used on either mortise or rim locks.